Earl Taylor (third from left), a member of the Washington Hose Co. who also works as a deejay, poses with EMS officials after receiving the BLS Provider of the Year award. More than two dozen Chester Countians are alive today because the county’s emergency services community intervened in their behalf during the past year. 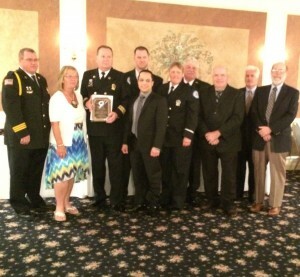 Twenty-three residents survived a near-death experience, and four got their start before their mothers arrived at the hospital, said county officials, who celebrated those accomplishments on Thursday, May 22, at the awards banquet for the Chester County Emergency Medical Services Council Inc., an annual event celebrated during National EMS Week. Held Thursday evening at the Red Clay Room in Kennett Square, the program honored a typically unheralded group of more than 5,000 – many of whom are volunteers – whose actions ranged from bringing people back from the dead to doubling as maternity wards. Coatesville Police Officers Claire Lang and Sylvester Earle are recognized for their life-saving efforts on Nov. 3. Officer David Marquette, who was unable to attend the ceremony, was also honored. The crowd of several hundred, dominated by emergency services providers, also included government officials and supporters. In addition to the awards honoring the life-saving skills of 91 first-responders, the program also singled out others for recognition, including two citizens that officials have been unable to contact since their heroics. Officials said Vlatko Hajdek and Mark Ray, who each received the Citizens Award even though they didn’t attend the ceremony, were playing tennis at a club in East Whiteland Township on Nov. 25, 2013, when another player experienced cardiac arrest and dropped to the ground. 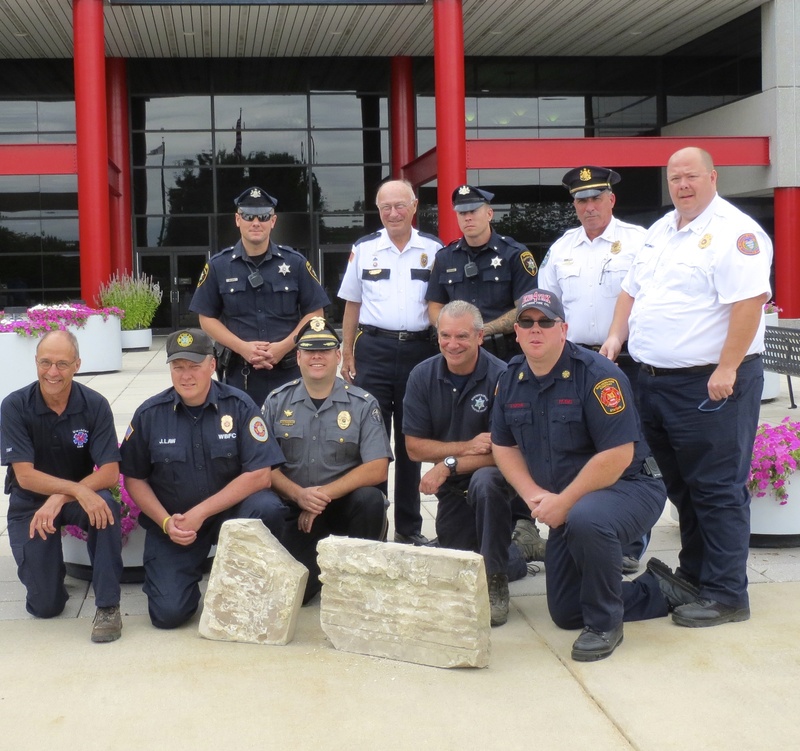 The pair began CPR, enabling paramedics to take over and continue aid that subsequently led to the man’s discharge from the hospital – a result that would not have occurred without the men’s intervention. leadership, education and training contributions to emergency services. And another veteran first-responder in Malvern, Saveria “Sady” Sardone, received the Advanced Life Support Provider Award, which recognizes an advanced life support provider or pre-hospital nurse who makes significant contributions in education, leadership and training in emergency services. The Telecommunicator of the Year Award went to Bradford Berry, an active dispatcher whose myriad contributions in 2013 included assisting a husband, who called 9-1-1 because his wife had gone into labor. The Nicholas H.S. Campbell Meritorious Service Award, named to honor one of the first paramedics in the county who also served as president of the EMS Council for several years, was given to Scott Thornton, the EMS chief for the Washington Hose Company and “a true leader.” Campbell’s friends and relatives assisted in bestowing the award. 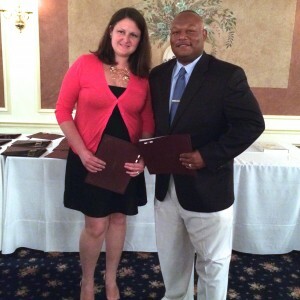 Tammy Johnson of Good Fellowship was honored as the EMS Educator of the Year, and Dr. Edward Dickinson received the Margaret Hoover Brigham Award, an honor that pays tribute to the longtime Birmingham Township resident who was founder and first president of the Chester County EMS Council. Members of the Southern Chester County Emergency Medical Services – Medic 94 pose with the award they received for distinguished service. 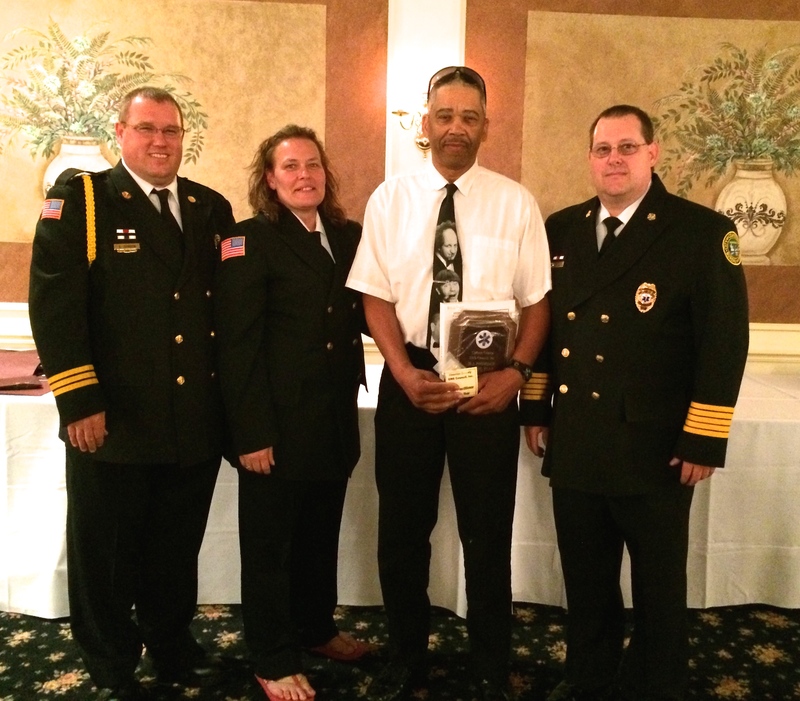 The Distinguished Service Award was presented to Southern Chester County EMS – Medic 94, an organization that was founded in 1983 and became an independent organization in 2001. It was applauded for its stellar service that has met the needs of the community for several decades. 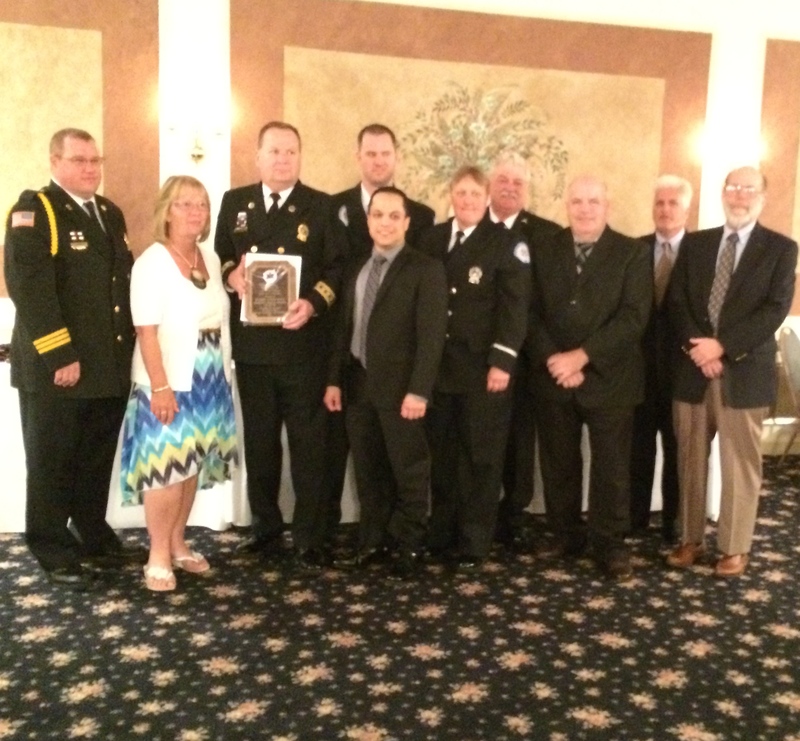 The Robert Thompson Memorial Award, an honor that goes to an elected official who makes contributions to improving EMS systems, was given to Chester County Commissioners Ryan Costello, Kathi Cozzone, and Terence Farrell for their work in improving communications and providing the Chester County Public Safety Training Center in South Coatesville. The award pays tribute to Thompson, a former state senator, county commissioner, and Chester County EMS Council board member. CLINICAL SAVE HONOREES – members of the Chester county emergency services community involved in the pre-hospital clinical save of a patient using either CPR or the automated External Defibrillator (AED). MATERNITY HONOREES – EMS personnel who assisted in the delivery of a baby in the field.